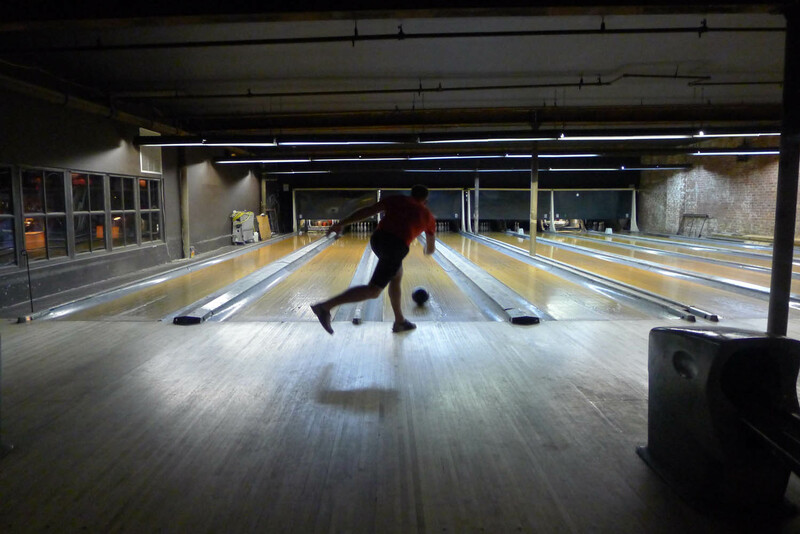 A few weeks ago, I took part in a bowling league with my colleagues at Frames in Midtown. 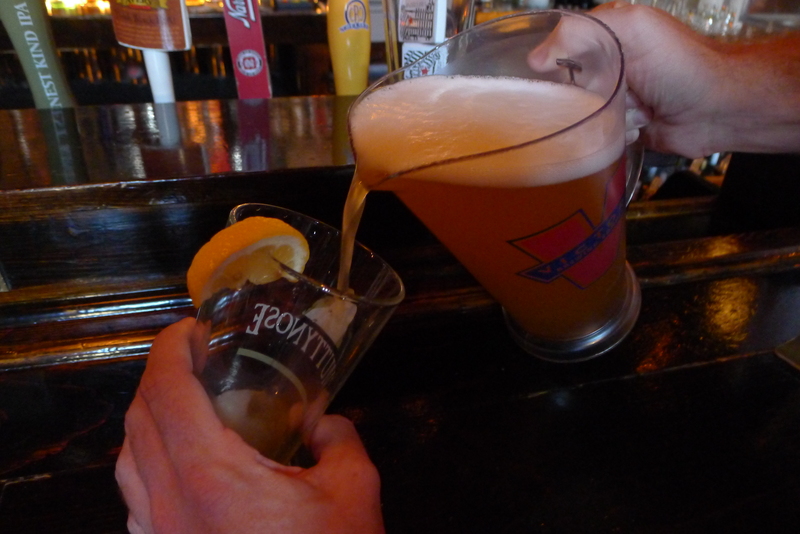 I did very, very badly and wanted to see if I fared any better by approaching the sport in a new way. And as it turns out, I would have been better in the 1970s. 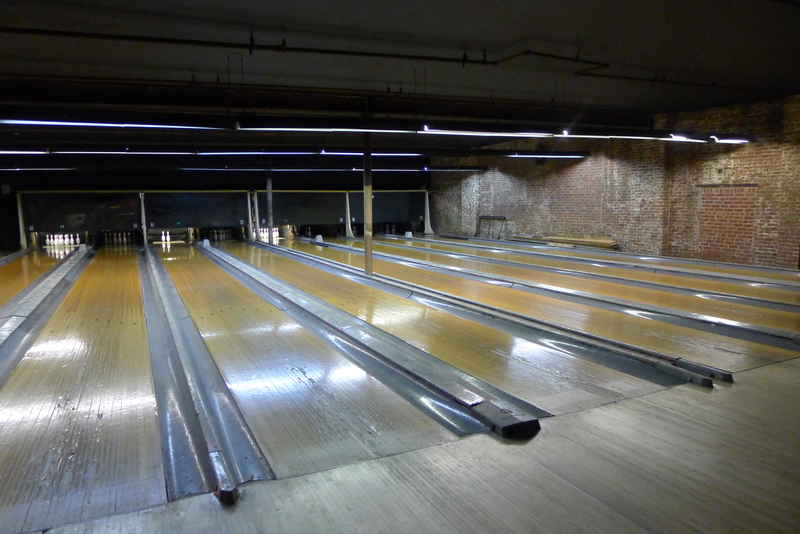 Ryan and I headed to The Gutter in Williamsburg, a dive bar with 1970s bowling lanes that I’ve been meaning to go to for months now. 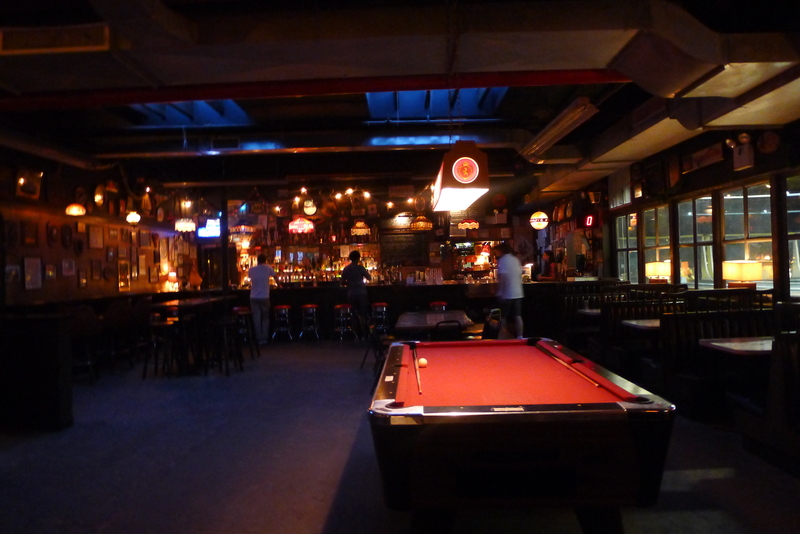 This was a very different scene from Frames, and although a Sunday night meant it was quiet, I much preferred the feel of the place. 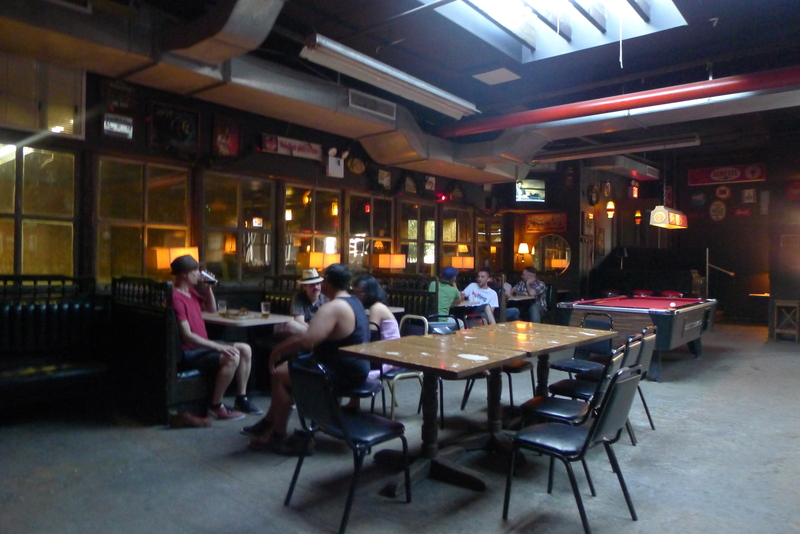 The bowling is in a side room at the bar, which itself has a solid craft beer list, retro games and rustic decor. 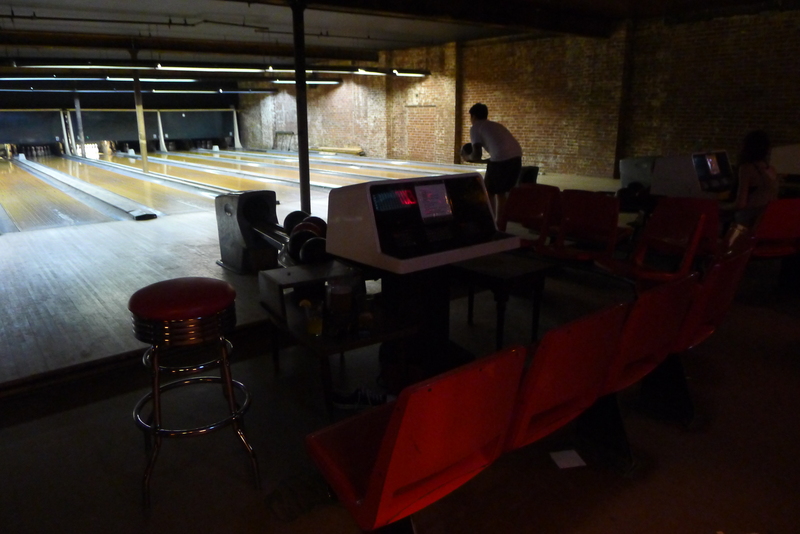 The bowling alley is eight wooden lanes, no bumpers and an old-fashioned score screen. They’ve missed a few tricks though; I had expected the balls and return machine to be a little more old-fashioned too but they were the plasticky kind we’re used to. Remember when I whooped Ryan at the Chinatown Arcade? Well tonight he got me back. 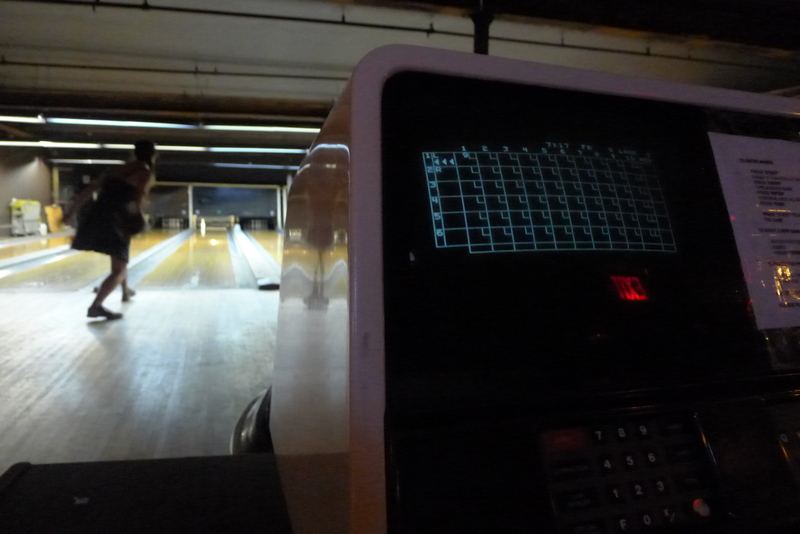 I was much better than I was during the league and took the first game – but Ryan came back stronger and beat me in the second and third. Just a whiff of a threat and my balls ended up in the gutter. 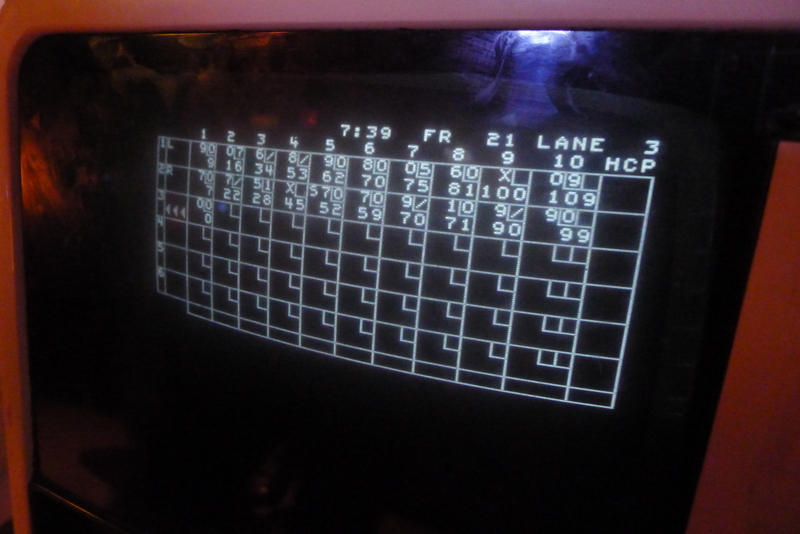 Still, I managed to get a surprising number of strikes and scores. 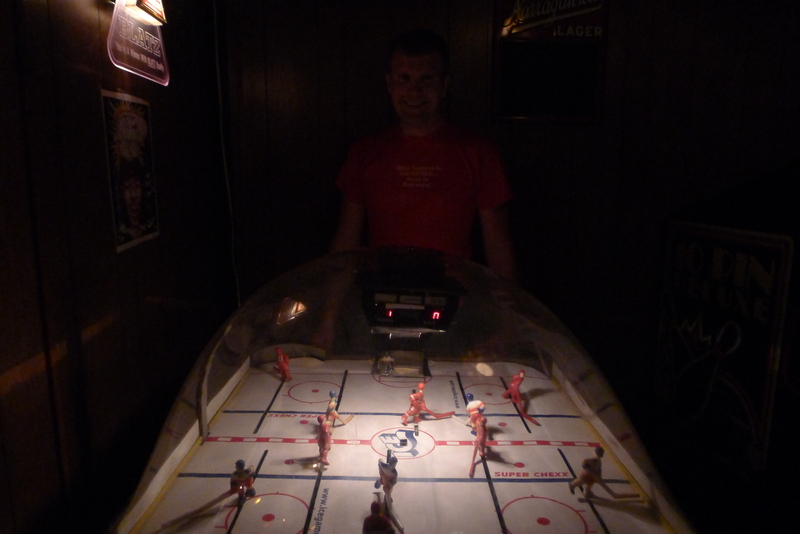 Then he beat me at the ice hockey game too. R.I.P chivalry.